Chez Devil Pig, on aime bien les jeux fun, fandards et qui ont un petit n’importe quoi ^^ Et le projet Kickstarter Gob’z’heroes en est un ! 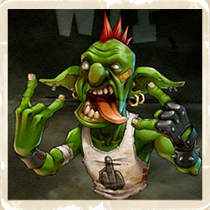 Un super-vilain entre en jeu, le DEVIL’PIG TROLL ! Ptdr vous êtes des grands malades !!!!!!! Both. 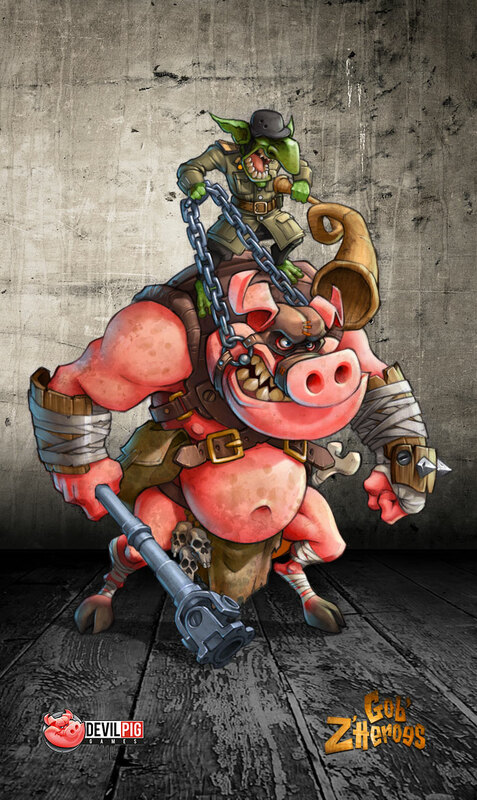 Gob’z’heroes will have a devil pig miniature. And DPG will create the unit in HoN for free download. Ok, not sure I understand. You are making tiles and tokens to play this in their game or to allow the Devil Pig to be played in HoN/SoN?